A look at a variety of approaches and tools for testing Web sites using network conditions end users are likely to experience. An industry-standard container runtime with an emphasis on simplicity, robustness and portability. More details. An orchestration engine open sourced by Netflix whose behavior is defined via a JSON DSL, that can manage processes, and scale to millions of concurrently running process flows. Repo and more info. 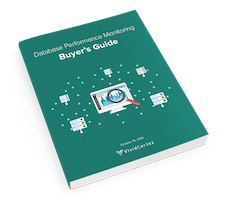 This buyer’s guide is designed to help you understand what database management really requires, so your investments in a solution provide the greatest possible ultimate value. Download now. The container automation, deployment and scaling tool takes a key step forward and continues to grow. It supports the main services out of the gate (e.g. CloudWatch, EC2, S3, RDS) and meets several UK standards. A significant amount of detail on how Fastly’s load balancing system works written by three of their engineers. Only available in select regions and unlikely to be cheap, this is aimed at the highest end of AWS customers. We are a team of builders; crafting and coding a platform to delight over a million users. We work in big database services to small instances on AWS, manage millions of documents & 25,000 database transactions a second. Don't love your job? You Should - Try Hired and Find the Right Fit. Try Hired today to get multiple job offers and free personalized support in planning your next move. Reduce image size, speed up builds, and avoid unintended exposure. Learn how to prepare Elastic Beanstalk for Docker, how to build and push your Docker images to Docker Hub, and how to test and deploy your app to EBS with Codeship. Compares only memory, cores, storage and transfer so YMMV. Microservices are a common aspirational pattern today. However, Sean Kelly argues maybe they shouldn’t be. Quickly pinpoint what’s broken and why. Get the context and insights to defeat all Node errors. Realtime data delivery platform Ably unites Ably, Pusher, PubNub, AMQP, and STOMP. Flexible and uses Docker containers for plugins so you can build them however you like. The API can be easily run on AWS Lambda with API Gateway.